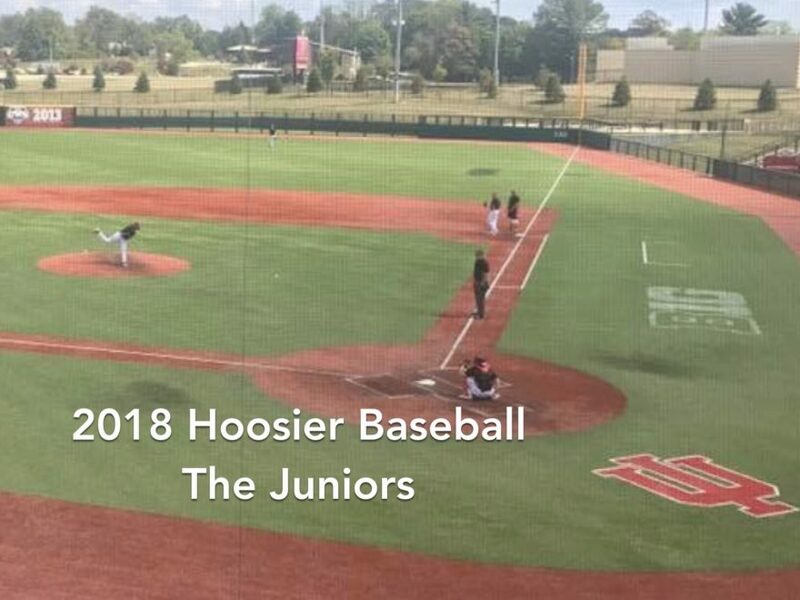 Today we’ll take a look at the 2018 Hoosier Baseball Junior Class. InfIelder, JuCo transfer from Madison College. Made 16 starts for Kansas State his Freshman year (2016). In ‘17 for Madison College he started 37 games and His splits were .291\.413\.575 while leading the Wolfpack in Homers (8) and second in RBI (37). Has a great chance to take over for his childhood friend and fellow Cheesehead Tony Butler at 2B. Everyday Third Baseman. Strong arm, power bat. Led the team in ‘17 with longest hitting streak (12), on base streak (23), and runs scored (52). Second on the team with a .286 AVG. 2016 Louisville Slugger Freshman All American, and drafted by the Minnesota Twins in the 2017 draft (31st Round). Never gets cheated on a hack! Lefty Relief Pitcher. Plus plus slider (just ask Brendan McKay). Had a 15 inning scoreless streak in ‘17. Has proved to be a multiple inning guy, with the possibility of breaking into the starting rotation this season. 3 multi inning saves in ‘17. DH/Closer/2B. Great all around hitter. Batted .301, led the Hoosiers in Slugging ( .554), four hit games (3), and walks (28). Had 9 saves after taking over the closers role in March (8 ER in 32 innings). National Player of the Week for March 2017. 2nd Team All B1G Ten. Weekend Starter, voted a co-captain by his teammates for this season. Became a starter in late March. The Hoosiers went 8-1 in games he started to close out the season. His 9 punchouts in the 2017 Regional vs NC State, was a season high for the team. Named Hoosier Baseball Pitcher of the year for ‘17. Friday Night Starter, an experienced power arm and outstanding control. Had a 17 inning scoreless streak in ‘17 including two 1-0 wins and the rain shortened Maryland start. Velo was up in the fall (hit 95), and he led The Cape in K/BB ratio in’17. Threw a complete game shutout in NCAA Tournament Elimination Game last season vs Ohio U.
Catcher, Juco Transfer From San Jacinto CC. Good defensive catcher,that guns down runners. In 41 games last year his splits were .256/.344/. 573. Pitched 6 innings in relief with 10K’s and an .173 ERA. He hit 6 home runs last year as well. Zionsville HS 2015 – Miami transfer. Up next in the series will be the 2018 Sophomores. Thanks Mark, and we will! Expectations are high, as they should be! We have some exciting content coming soon, and will always be looking to improve.